Thank you very much to everyone who came out to support SHM during our Winter Fund Raiser! 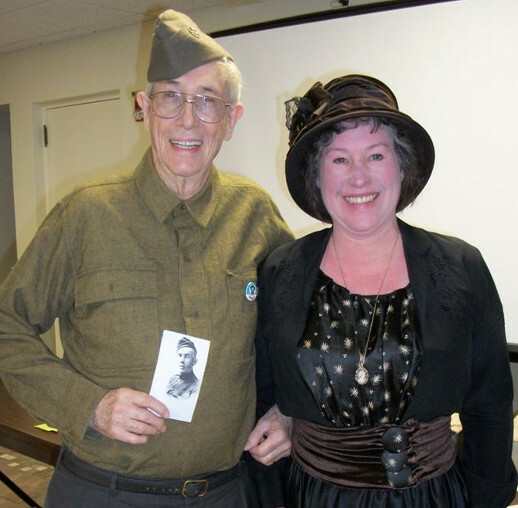 Ellie Carlson did a great job in bringing us back in time to get a sense of life 100 Years Ago on the Homefront – the music, the food (I don’t think I will ever forget the mash potato cake! ), and the stories. A special thank you to our sponsors: First Midwest Bank, Banner Up, Taxco, Neighborhood Bakery, and IDEAL Industries. And a thank you to our silent auction donors: Paulson’s Appliances, Sycamore Park District, Culvers, Compeer Financial, Finney’s Electric, IDEAL Industries, Steve Bigolin, Eggclusive, Shawn’s, Dolce Vita, and Stage Coach Theater.